The Bhuseva project has been planned and initiated by Andhra Pradesh Chief Minister. The main aim of the scheme is to look after land administration for which the 11-digit Bhoodhar number will be assigned pertaining to all government and private lands available across the state. Andhra Pradesh Chief Minister Chandrababu Naidu has also made plans for AP Bhu Seva Project. In addition, a new Bhudhar web portal has been created by the CM of the state so that people can easily access the details of the project from the portal. Moreover, people will get to know Bhoodhaar number, and it will also help the people in Bhoodhar allocation. The main purpose of the project is to give a Bhoodhar number that will be given to 2.84 crores agricultural land. In addition to this, 85 lakh rural along with 50 lakh urban land properties will be given under this project. The Bhoodhar number cannot be distorted in any form, and this number can be utilized for any transactions pertaining to land. With the help of the number, the details of the transaction can be checked by the web portal. The Bhoodhar number will be an 11 digit number that will start with 99. It is similar to the Aadhaar card, and it can be used for any works pertaining to the land database. Bhudhar number will be given to individuals with the help of latest technology. This will in turn help to avoid issues of land corruption related to land properties. It can be done in less time and therefore, these Bhoodhar number will be of immense help to the landowners. There is a two-step procedure that will help in dealing with land database easily. This permanent number will be given to the concerned person after going through a thorough check of the revenues, registration procedure, stamps, municipal administration, panchayat raj and permission from the forest department. How to know bhudhar Number? To check Bhoodhar number, people have to go to the online portal of the project. From the website, they have to click on http://bhuseva.ap.gov.in/Information/know-your-bhudhaar link to get the details of the number. After clicking on the link, a box pops up where you have to put details like district name, village, survey number, zonal information and enter correct captcha before clicking on the search option. How are the Bhoodhar numbers allotted? The allotment procedure takes place through two procedures. It is done through both bulk and individual allocation. Two different portals are available both bulk and individual allocation of the numbers. 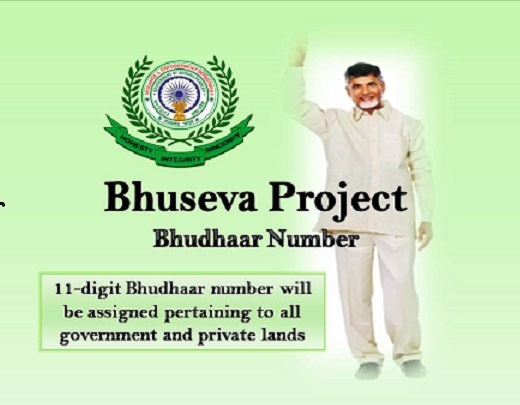 For individual number, http://bhuseva.ap.gov.in/bhudhaar-allocation/individual-allocation can be accessed to get the required Bhoodhar number. This project will help farmers to go through land mutation procedure easily through the less time-consuming procedure from the online service. In addition, it will also help to save a lot of money. Thus, the electronic records will be matched with the information stored in the land database before the cards are allotted to the assigned person. How to know about land owner through Bhuseva portal? With the help of eKYB procedure, people are able to know both about the details of the property and its owner. In addition, people can also know about the land owners from http://bhuseva.ap.gov.in/bhudhaar-authentication/eKYB. In addition, due to advancement in technology, people who are planning to buy the land will be able to see the land with the help of satellite mapping. This is known as geo reference. In relation to this project, it is further known that certain problems are yet to be solved related to farmlands and doted lands. It will be taken care in recent times by Gram Sabhas. To make land administration an easy task, this project has been launched by the government that will function as land database. Through this, people approaching this property will be able to access the details easily. Moreover, technological changes have made it possible to make transactions easily via the online portal of the project.